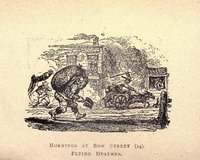 Bow Street is a famous street in London, England with a very colorful past. 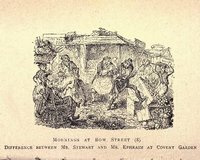 It was originally conceived as a well-planned residential development in 1633 by Francis Russell, 4th Earl of Bedford. 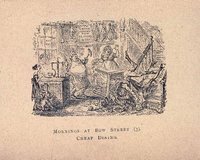 It was initially a high society enclave which attracted a number of prominent residents including Oliver Cromwell, and the author Henry Fielding (who organized the street's first private police force). 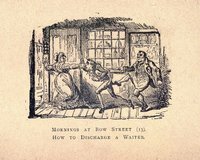 However, over time, Bow Street's character declined considerably when a number of theaters and drinking establishments opened up. 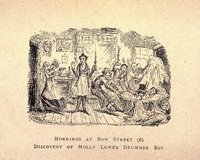 It became known for disorderly conduct and prostitution. 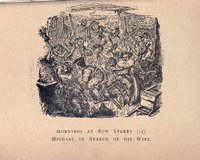 A police station and magistrate's court dealt with the numerous daily arrests in the area. 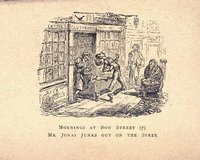 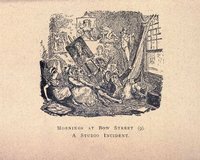 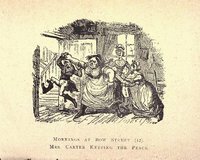 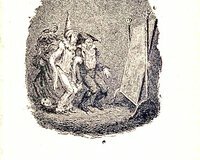 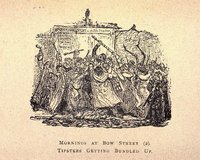 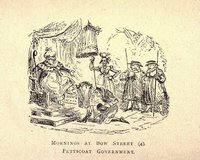 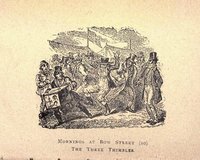 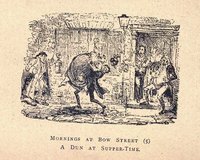 This set of 15 illustrations by George Cruikshank are from a book called Morning on Bow Street, which summarized some of the more colorful cases that came before the magistrate after the night's debauchery. 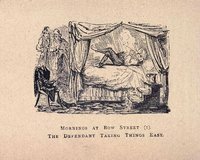 In some cases we were able to track down some of the actual court cases and flesh out the images; in other cases we are left to guess what went on and whatever incident is being alluded to has been lost to the passage of time. 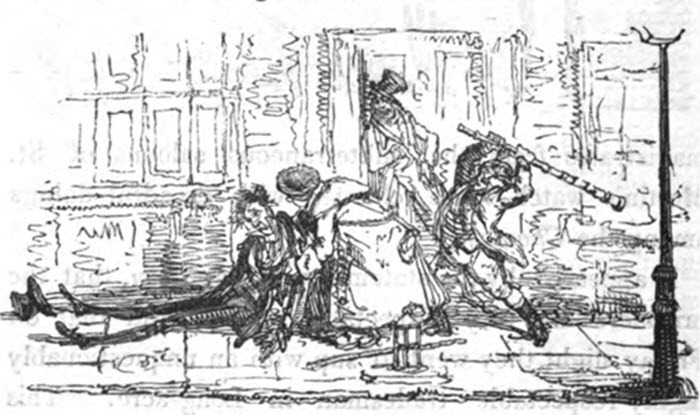 These drawings are interesting because they provide an illustrative glimpse into Victorian London, which far from being a prim and proper place as is often portrayed in miniseries and movies, was a dirty, chaotic and violent place.